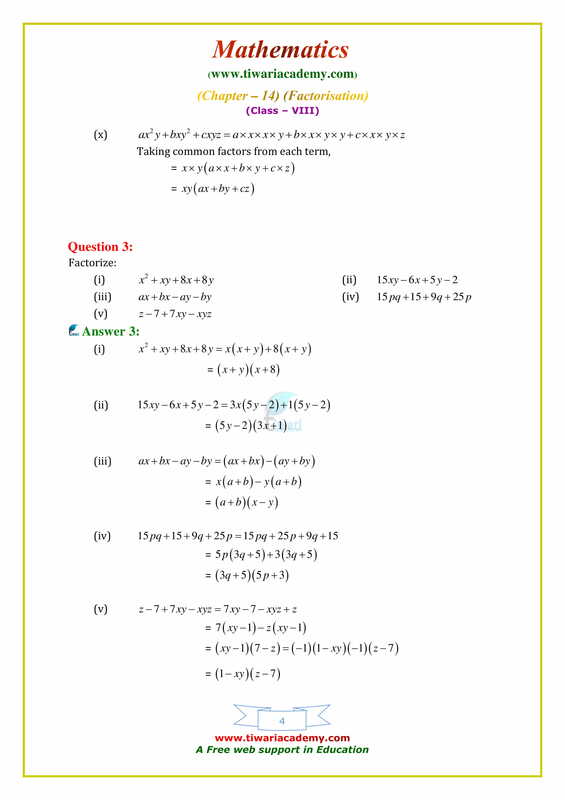 NCERT Solutions for Class 8 Maths Chapter 14 Exercise 14.1 Factorization in English Medium and Hindi Medium simplified and updated form for the academic session 2018-19. 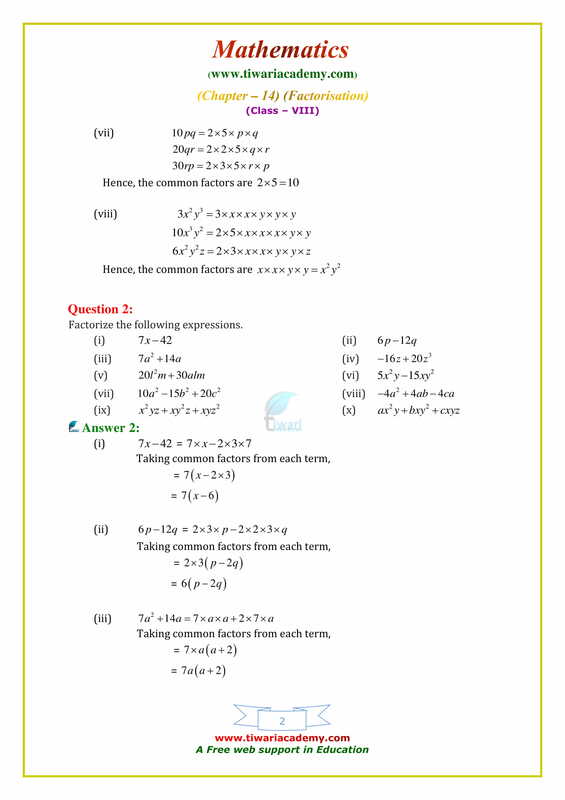 Representation of an algebraic expression as the product of two or more expressions is called factorisation. Each such expression is called a factor of the given algebraic expression. What may be the terms of an Algebraic Expression? When we factorise an expression, we write it as a product of its factors. These factors may be numbers, algebraic (or literal) variables or algebraic expressions. Rearranging the expression, which allows us to form groups of factors, leading to factorisation is called regrouping. What is an irreducible factorisation? An irreducible factor is a factor which cannot be expressed further as a product of factors. Such a factorisation is called an irreducible factorisation or complete factorisation. For example: The irreducible factorisation of 3a³ + 6a is 3a (a² + 2). How to factorise by Division? In the division of a polynomial by a monomial, we carry out the division by dividing each term of the polynomial by the monomial. In the division of a polynomial by a polynomial, we factorise both the polynomials and cancel their common factors. What is a common factor? A factor which occurs in each term is called the common factor. 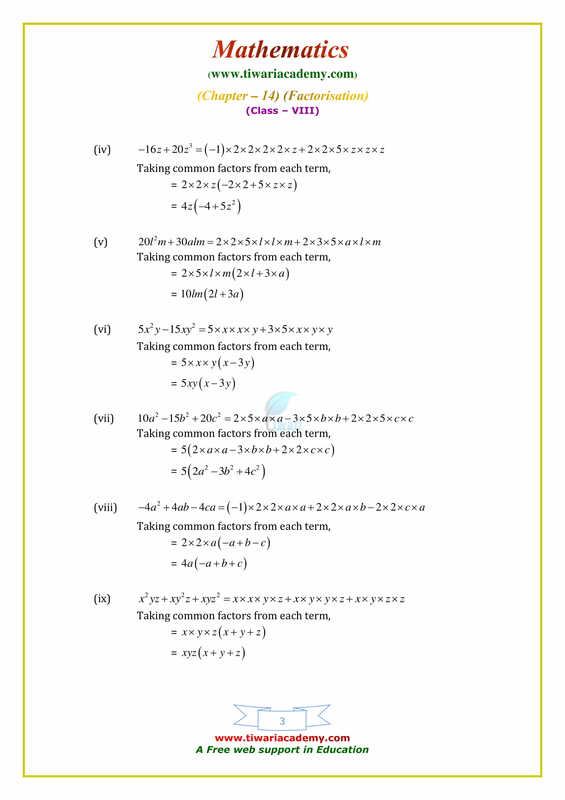 What is common factor method of Factorisation? 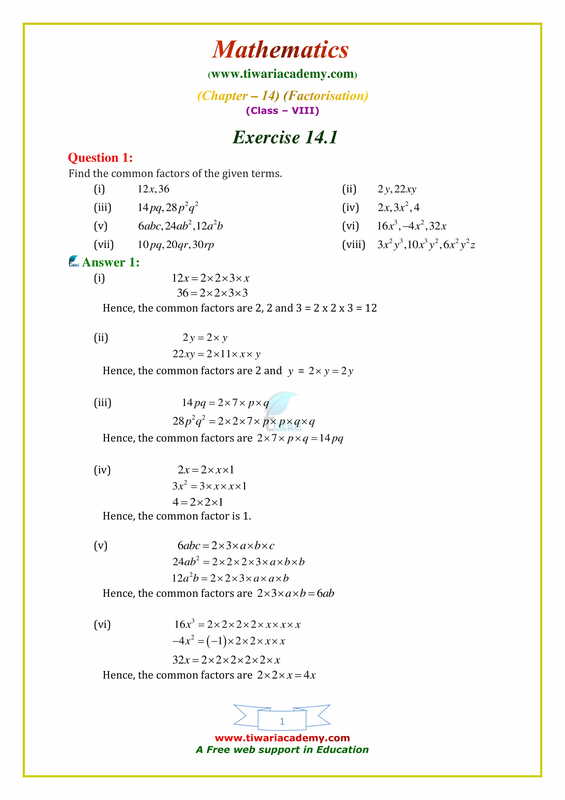 The factorisation done by using the distributive law (property) is called the common factor method of factorisation.